PALawHelp.org provides information on civil legal issues and answers to many civil legal questions. Choose an issue below to begin your search for helpful resources about your legal rights, the law and the courts, and locate legal assistance and forms that may be available to help you resovle your problem. Philadelphia Legal Assistance has launched Make Your Case, a legal self-help video series. With a grant from the Legal Services Corporation, PLA attorneys developed three self-help videos for people who represent themselves in custody, support, and protection from abuse cases in family court. The video series is available in English, Spanish, French, Vietnamese, and Indonesian, providing a valuable legal resource to people with limited English proficiency. Videos from the Make Your Case series are also available on PaLawHelp.org under the Custody and Guardianship of Children, Child Support and Paternity and Domestic Violence & Protection From Abuse topics under the main heading Children and Families. Pennsylvania has recently passed a new Clean Slate law the permits many criminal cases in PA to be sealed (taken out of public view) or expunged (removed), so they cannot be used by employers, landlords and others against you. 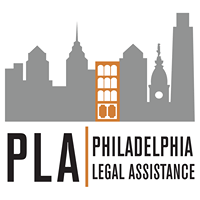 Beginning in January 2019, a new project of Community Legal Services of Philadelphia and the Pennsylvania Bar Association allows you to request a confidential review of your criminal record by a volunteer attorney who will then advise you if you qualify to have your record sealed or expunged and what steps you need to take to begin the process. You can request a review of your record here on PALawHelp.org or at www. MyCleanSlatePA.com.